You know a good quality CRM can increase revenues, build efficiency, and boost productivity. According to a study done by Nucleus Research, every dollar spent on the implementation of your CRM returns almost nine dollars in sales revenue. As time passes and tech giants see the rising importance of a quality CRM, the market is inundated with programs promising greater functionality, utility, and a more streamlined user experience. We know you spend a lot of money on your CRM, so you should know there are ways to measure the return on investment of your purchase in real and tangible ways. You can set as many sales and marketing goals and predictors as you would like through your CRM, but none of these are going to work if your team, or teams, are not on the same page in terms of goals. The old cliché “communication is key” has stood the test of time for a reason. Set common goals amongst your team both short-term by week or month, and by your sales season, as well. It is possible you have been using the same CRM, or an upgraded version of it, for a while now. Chances are, it offers dozens of features and options, some of which you may not be using. Revisit the options and see if there are new and different ways of analyzing data to test out new approaches and revealing trends you may not have previously noticed. Don’t stop there. Brainstorm ways to use the new data and analysis to come up with a concrete application of it together as a team. Then, look at how numbers change after the new purchase has been implemented. You can also look at an increase in sales, customer satisfaction, higher engagement from marketing campaigns, and how they have holistically changed after the implementation of the new software. Some of the most successful companies are ones who align in their goals, not only in one department of sales or in marketing, but even in accounting, project management, and customer service. Aligning goals means communicating between teams and documenting the direction of the company within the same software. This will increase your return on investment by cutting costs of other solutions in the increase you will see in productivity. Not only this, but you will be able to manage every aspect of your business from one single place. All facets of your organization can determine the ROI of each decision when they can come together in a single software. And when you consolidate software, you have only one software license to pay for each year. This solution gives your sales force more data to serve potential customers. Discovering, engaging with, and then selling a potential customer is an expensive and time-consuming undertaking. 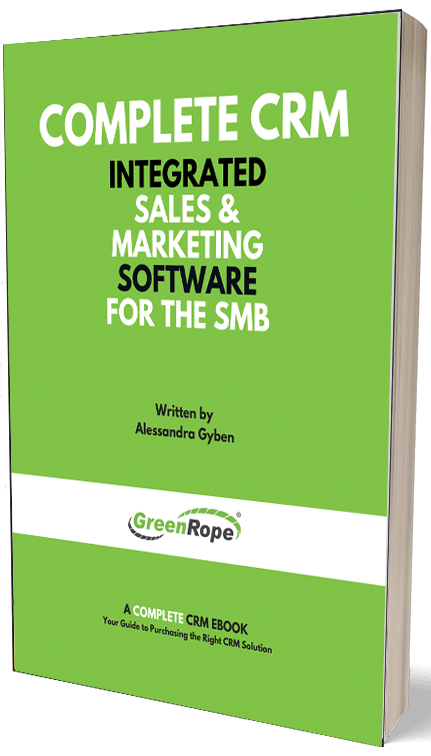 Know how many existing customers you retain over time and use your CRM to determine what business patterns or sales tactics your team uses in order to understand why your customers or staying or leaving. These metrics are of course useless if you aren’t making use of them. Keep this information at your fingertips and make a scheduled appointment in your calendar to address problem areas both on your own and as a team. One of the many goals of a quality CRM is for it to increase you and your teams’ productivity. It is of course problematic attempting to assign a number to increased productivity levels. How do you apply a number value to the time a rep spends on a task? You may have your own way of measuring value, but there are smaller calculations within your CRM that are easily measurable such as number of calls made, how many of those closed a sale, how long it took to close that sale, number of up-sells or cross-sells, and customer retention rates. Combine these numbers across your departments within a business intelligence tool to better understand how productivity pays off in revenue. At the end of the day, however, it is important to look at all of these inclusively in a way that reaps long-term benefits. It is easy to get stuck in the weeds or find yourself in a rut, dialing number after number mindlessly. Refresh your mind by continuously looking at these metrics to find new and interesting ways of approaching your customers. They will benefit by your giving them new experiences with improved communication. Not only will it increase your return on investment, it will maintain allegiance, and cut operating expenses.